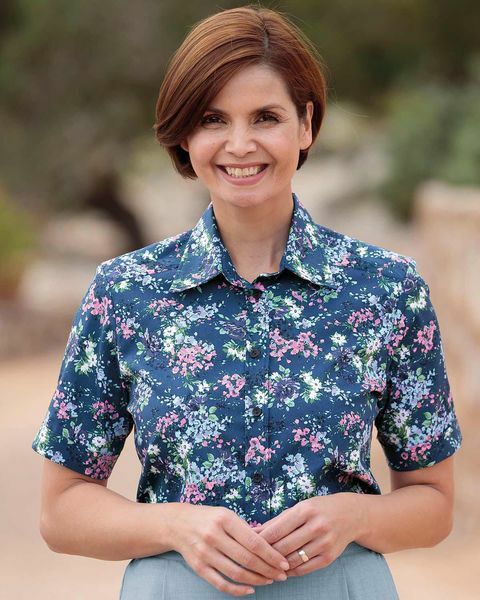 "Fine, delivered when expected, good fit, looks good "
Ladies classic short sleeved style blouse featuring mock turn back to sleeve with a gently rounded hem. Pure cotton floral print in tones of greens, blues, pinks and lilac on a navy base. Lightweight and versatile. A stylish addition to your wardrobe.